For most it would bring back terrible memories of the scene from Jaws when the immortal line ‘you’re going to need a bigger boat’ was uttered. 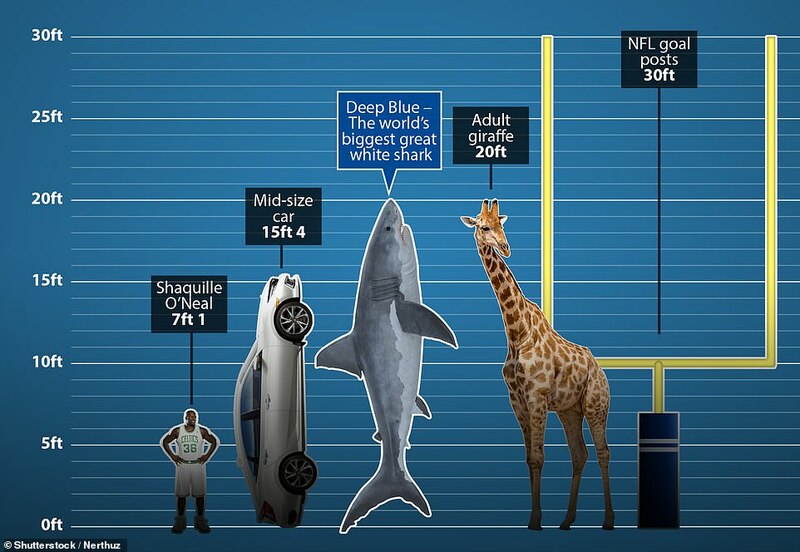 But when a team of divers spotted the largest great white shark on the planet they only hesitated to grab their cameras before they jumped into the sea. 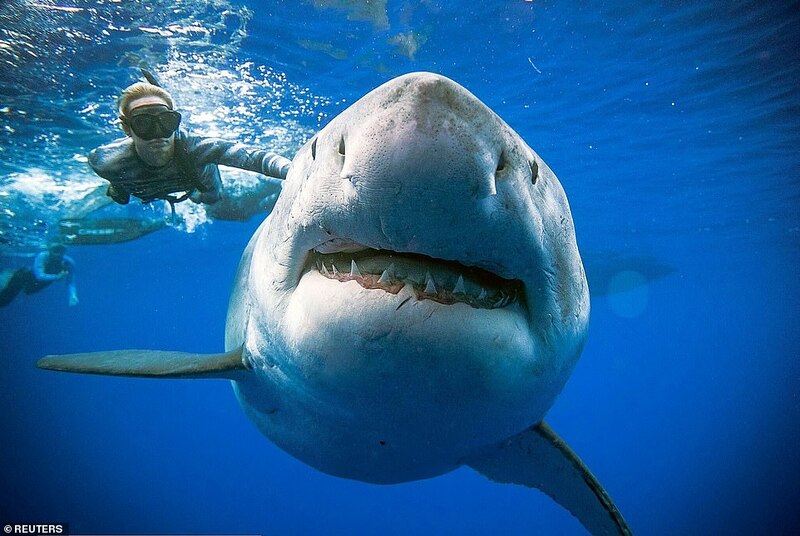 The enormous predator named Deep Blue is up to 50 years old, weights 2.5 tons and measures 20ft long. It was drawn to the water around Hawaii for what one diver described as an ‘all you can eat buffet’ – to feed on a dead sperm whale. Posting on Instagram shortly after the swim, Oliphant wrote: ‘Face to face with the worlds largest great white ever recorded ‘Deep Blue’ with @oceanramsey. Another diver who swam with Deep Blue. Kimberly Jeffries, wrote: ‘If you asked me a few days ago what the most amazing thing I’ve ever seen in Hawaiian waters the answer probably would be pretty different. 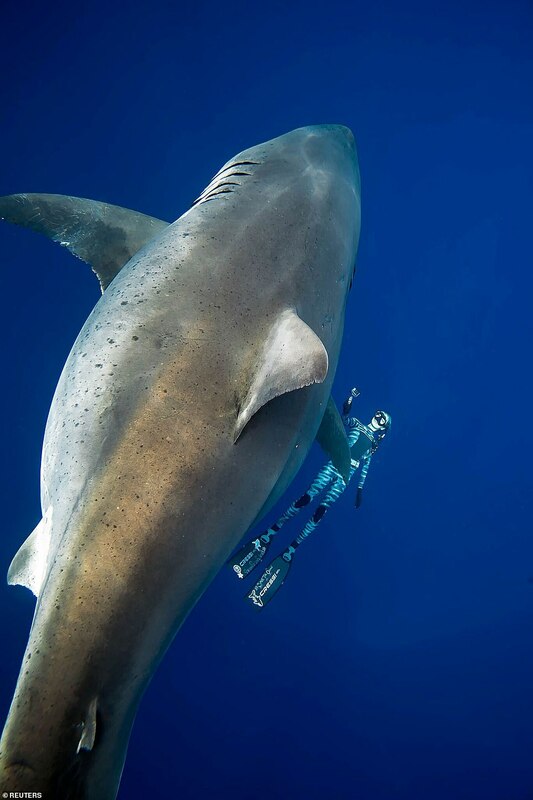 ‘If you asked me yesterday the answer would be freediving with Deep Blue, a great white, the largest ever documented, who was last seen in 2013 in Mexico.